Not Alexander; probably not even related. But man, that hair! The Los Angeles Dodgers have agreed to sign Cuban infielder Alexander Guerrero to a multi-year, $30 million contract, according to Peter Gammons of MLB Network. MLB.com's Jesse Sanchez reported earlier in the afternoon that the Dodgers were closing in on a deal that is expected to be between five and seven years in length. Guerrero, who was cleared to sign with major league teams earlier in the day, also received significant interest in recent weeks from the Red Sox, Twins and Braves. Although he is not projected to be as impactful as fellow Cuban players like Yasiel Puig and Yoenis Cespedes, he is known as an average infielder with raw power and strong offensive abilities. 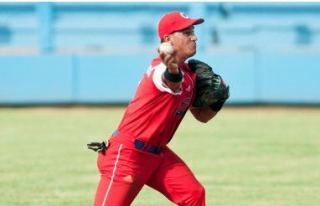 Although he has seen time at shortstop throughout his career in Cuba, many expect Guerrero to play second base if he reaches the major leagues. A later SB Nation update says it's closer to $32M, citing the same source from MLB.com, Jesse Sanchez. We'll see. 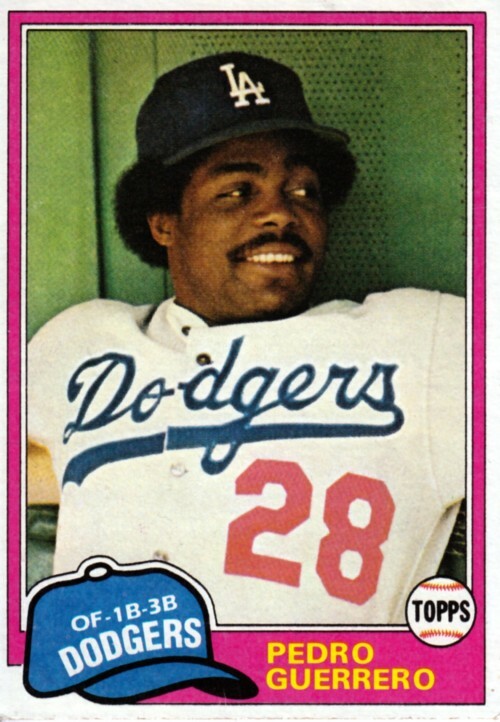 In his final season in Cuba, Guerrero hit .290/.402/.576 with 21 home runs in 328 plate appearances for Las Tunas. For the last five seasons, Guerrero has posted solid offensive numbers, though the Cuban league is known for inflated offensive numbers. Badler says that Guerrero is likely ticketed for Double-A or Triple-A to start out. Guerrero was cleared to sign with Major League Teams by the United States Office of Foreign Assets Control (OFAC) over the weekend. He defected from his native Cuba in January and has been a known quanitty for some time, so the Dodgers were quick to strike a deal once it was possible. It remains to be seen what impact, if any, the signing will have on the Dodgers' pursuit of a second baseman this winter. Of course, the Dodgers are viewed as the biggest threat to sign Robinson Cano away from the Yankees over the offseason. Guerrero played a lot of shortstop in Cuba, but he’s expected to be a second baseman in the majors and with 36-year-old Mark Ellis headed for free agency the Dodgers have a clear path for him to take over the job in 2014. He was considered one of Cuba’s top all-around players and the 26-year-old put up some big numbers offensively.